An accurate estimate of how long it takes to repair your roof requires an inspection by a professional roofer. In fact, it can be extremely difficult to estimate the time required to complete repairs for a number of reason including the size of your roof and the area of damage, the materials used on your roof, and even the qualifications of your roofer. So while your neighbour’s roof may have been repaired within a day or two, this does not necessarily mean your repairs will be completed in the same timeframe. Even the type of work needed for your roof will impact the repairs, and it’s difficult to know what types of roof repairs are needed without fully inspecting your roof. Still, in many cases, minor repairs can be completed quickly, sometimes in less than a day. But, if it turns out that more major restoration work is required, the length of repair can be extended significantly. You might even learn that your roofing contractor recommends total replacement, in which case the work can take upwards of two or three weeks (again, depending on a number of factors including the size and type of roof, materials involved, and even the weather). Once you have initiated an inspection with a qualified roofing professional, you’ll get a better idea of how long repairs will take. Still, if your roofer discovers that previous repairs have hidden roofing mistakes, or that there are signs of decay, expect repairs to take longer. Your roofing repairs will include removing damaged materials; and qualified professionals will ensure this work is done thoroughly and as quickly as possible. In fact, cleaning your roof is also an important aspect of the job as it allows the roofer to inspect your entire roof but also to prepare it for repairs within a few hours. Moreover, you get a number of benefits from a clean roof: you prevent future decay, help to reduce heat loss and heat gain during winter and summer, and you clear out drain pipes so that water can drain from the roof more effectively. When it comes to actually making the repairs, small leaks can usually be resolved in less than a day. However, when more severe leaks are discovered, some of the structural components of your roof may need to be replaced. This will obviously take more time and you may expect repair time to be extended to two or more days. Ultimately, you want to ensure that the job is done completely in order to prevent more problems in the future. As mentioned, the most severe damage to roof may require a complete roof replacement. This job can be costly, but it is important to avoid serious damage to the inside of your home. If you’re concerned about your roofer’s abilities, don’t be afraid to ask for more than one opinion. But make sure to follow the majority advice. 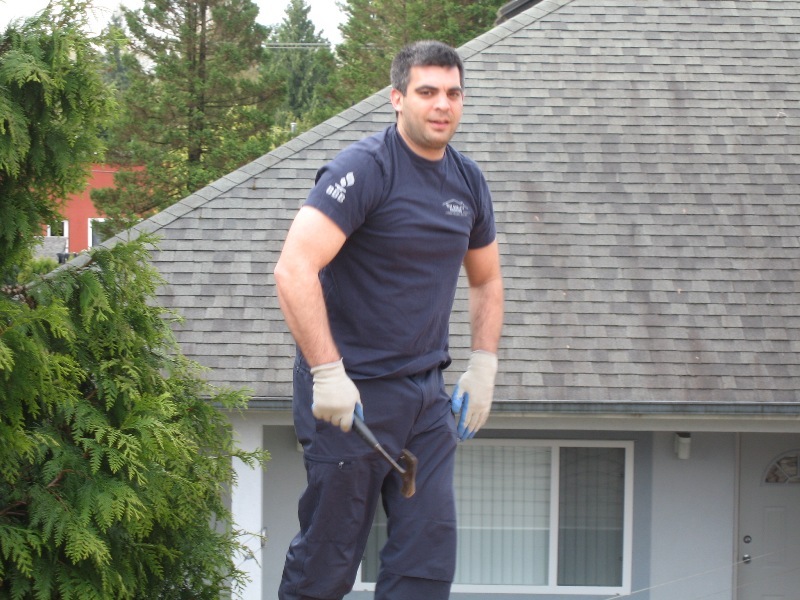 Ideally, you want to work with a roofing specialist that will be thorough and fastidious in his repairs or replacement in order to protect your home and belongings.